Turn on your phone screen using volume keys: – Now a day Android phone become popular among the people almost all have the smartphone with an Android platform because of Android functionality and price. Everyone can afford this phone. Whenever you buy new Smartphone with Android Os installed, you can do anything. But the sad part of these phones are they only provide volume buttons and power button on Android phones and other phone but sometimes by using power button repetitive the power button get damaged. So, guys, I am here with a solution in which you can unlock phone screen using your volume buttons and save your power button by getting damage. Hey, guys, I am back again with another useful trick. The trick is how to wake up your Android phone screen by volume keys. There are lots of ways to unlock the android phone by plugging your phone to a charger, use camera keys for unlocking the screen if the camera button has into your phone but the straightforward and useful method is only power button unlocking. Almost all users of smartphones unlock their phones by the power button. There are several ways to unlock your Android screen by apps you can find tons of apps on play store which change the functionality of power button into volume buttons. You can unlock your screen by plug into charging. 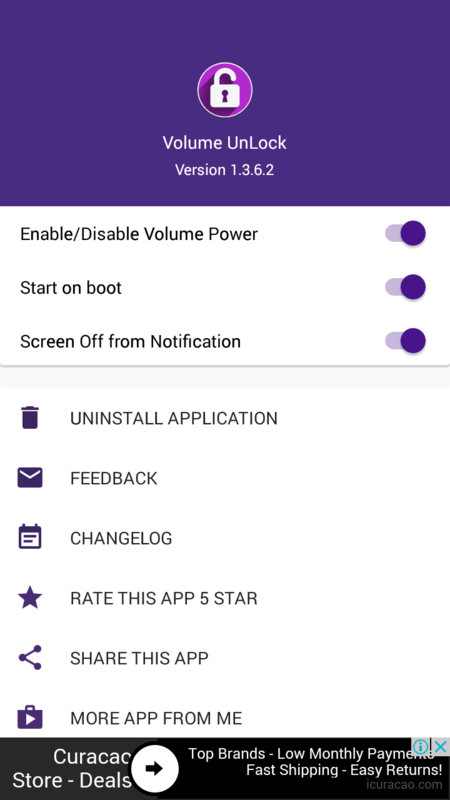 When you connect your phone to charger, your phone will wake up and then you can perform action also if your phone have camera button then hold down the camera button for the screen on but in this post I will tell you to unlock by volume which is the simple and easy method for an Android phone. You can find lots of apps from play store which offer to unlock the screen by volume but I personally like two apps which I am going to show you below they both apps are quite simple and workable. Both apps offer to unlock the screen by volume key, and if you want to lock your device, then you can do it from notification icon. Suppose you want to reboot your android device but you can’t able to reboot the android phone because of power button damaged or not working then you just need to install one app called fast reboot. This app will do all things related to refrashing device by rebooting it. Download the app from below and restart your phone without using any key. simply tap on it and restart it. Restart your device with the help of this little app till your power button start working. I think, now you don’t need of any power button for restart just one app will do all things related to reboot. So, guys, we have learned about how to unlock your phone screen using your volume buttons as I told you several ways for unlocking phone screen on your Android phone such as plugging the phone to a charger also by camera button. I hope you guys like this tutorial if you feel any problem regarding any tricks then comment below I will surely help you. Thanks for visiting my blog. on 12th place in google’s search results.